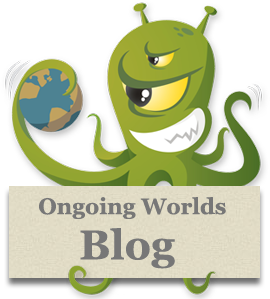 That’s right, we’re now accepting nominations for the Ongoing Worlds Medal for Superior Online Role Playing (also known as the Squiddie Award). What is this new award, you might ask? Simply put, it is the pinnacle award presented by our organization. Each year it will be bestowed upon three different entities: one person, one sim/game, and one club. They will then be entitled to use the honorific Superior Online Role Playing Laureate (or Squiddie Laureate). Nominations may be made by anyone (self nominations are permitted). Each nomination should include a write-up of why the person, sim, or club is deserving. The write-up should focus on one or more of the three areas mentioned above and not exceed 250 words. The nominations for this competition closed on the 26th January. We’ll be announcing the winners soon on our new blog. I also want to make it clear that everyone can make as many nominations as they’d like–there isn’t a limit. They’ll be out later this week. Good luck to all of our nominees!